Renowned design practice ASPECT Studios is delighted to announce its’ latest expansion into the Perth market, following the success of their award-winning project, Yagan Square. The new ASPECT Studio, located in the City of Perth will add to the seven existing studios across Australia, China and the United Arab Emirates – creating a share economy of specialist skills and diverse learnings. ASPECT Studios, highly regarded for their collaborative approach, design intelligence, innovative use of 3D design technologies and localised community-focused design processes are the designers behind some of Australia’s most loved public spaces including Barangaroo South, Darling Square, Caulfield to Dandenong Level Crossing Removal, Bowden Park, The Goods Line and One Central Park. “Our newly established Perth studio is the result of a harmonious balance between organic growth and the identification of strong local leadership capabilities. Our latest built project, Yagan Square located in the City of Perth, has seen high praise from local communities, council and our client, the Metropolitan Redevelopment Authority (MRA) on behalf of state government, for its successful outcomes benefitting the larger community” says Director, Kirsten Bauer. “Yagan Square was delivered in collaboration with the Whadjuk Working Party, Lyons and iredale pederson hook architects and seeks to provide a destination for people to meet, discover and celebrate Western Australia’s unique local produce, culture and heritage.” Bauer goes on to state that “As designers, landscape architects and urbanists, we are connected by our purpose – to deliver projects which challenge and delight whilst enhancing the lives of people and natural systems in an enduring way. We believe that through our deep understanding and respect for the local Perth communities and their traditions, that we were able to collaboratively deliver a site and community focused response which enhances the lives of those affected”. “As part of ASPECT Studios’ ongoing planning for succession, we also saw the opportunity to expand our leadership team and are delighted to welcome Tom Griffiths and Michael Rowlands as our new Studio Directors of ASPECT Studios Perth. Tom and Michael will join an existing team of over 170 landscape architects, designers and specialist staff” says CEO Ivan Ross. 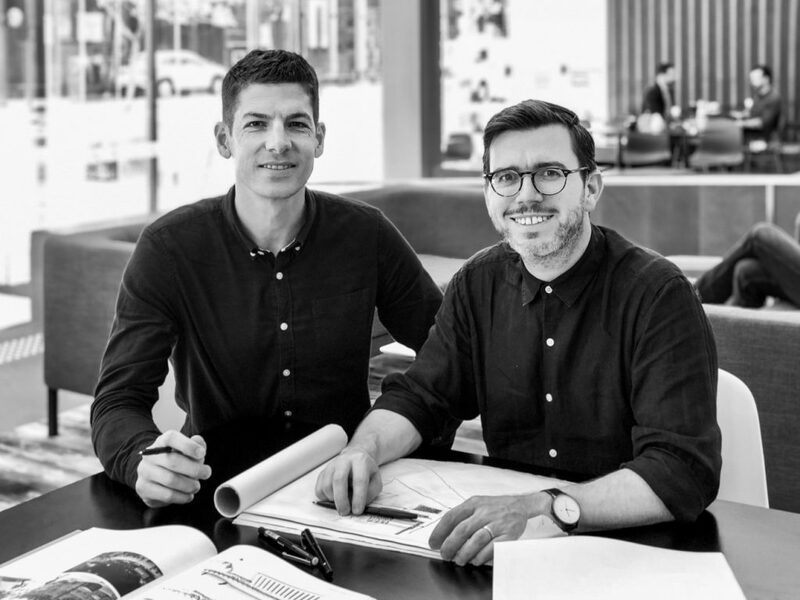 “Tom and Michael both bring vast leadership experience as well as expertise in large-scale national and international landscape architecture and urban design projects spanning from South East Asia through to the Middle East. We are delighted to see both Tom and Michael’s industry and typology specific knowledge and leadership skills incorporated into our upcoming Cottesloe Foreshore Master Plan project” concludes Ross. ASPECT Studios Perth have begun operations for 2019. For further information, please contact ASPECT Studios via email – [email protected] for more information.